This detail from Willem van de Velde the Elder's painting of the Battle of Scheveningen (10 August 1653) shows the Dutch fireship Fortuijn attacking the British warship Andrew. Note the much smaller size of the fireship when compared to even the 56 gun Andrew. 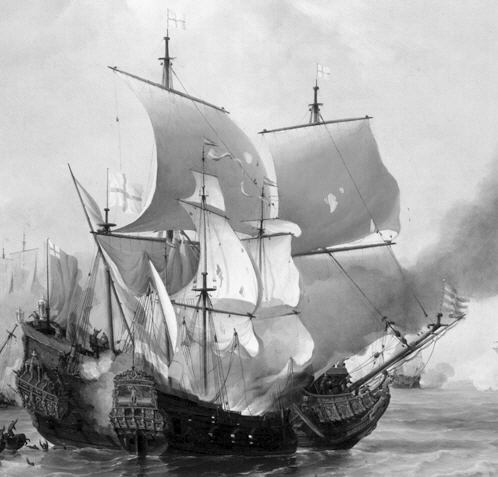 This fireship attack ended in failure, although Rear Admiral Thomas Graves was killed before the fire was put out.